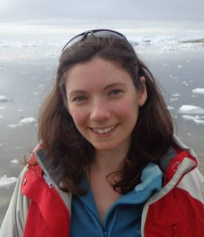 Our fourth curator for the week is Dr Claire Cousins (@ClaireCousins10), Research Fellow at the University of St Andrews, UK. Claire is on #TeamIce in our week withe #NASAFireandIce. More on Claire below. I became a scientist just by being super interested in everything to do with the natural world. I can’t remember a time when I wasn’t fascinated by space. Studying geology at University was a great way to learn a bit about everything, and being able to use that knowledge now to help explore the Solar System is really exciting. I work at the University of St Andrews, and my time is split between leading research projects and teaching on our undergraduate geology course, plus a bit of occasional public engagement. I get to work with some awesome people, and at the moment our team are working on Mars exploration and icy moon astrobiology. One of the best things about being an academic is the international nature of the job, whether it’s collaborating with people from around the world, or conducting fieldwork in cool places. Space exploration is a great way to inspire the next generation of scientists, particularly as it includes such a wide range of subject matter. In astrobiology, the questions we’re asking are very fundamental in nature (e.g., did Mars once have microbial life? Are icy moons habitable? ), and I think curiosity-driven research will always lie at the heart of scientific advancement. Also, the new technology developed to explore space often has useful applications here on Earth too. Alongside academic commitments I also work with the St Andrews ‘GeoBus’, which is a geoscience educational organisation that brings amazing hands-on science workshops to schools and events all across Scotland. I love being creative, and spend a lot of my spare time painting and being involved in local arts organisations. I live in the countryside, so being outdoors is also a big favourite, whether its gardening or walking the dog. My ideal day off involves chilling out at home, creating some artwork and eating tasty food. Scotland is beautiful and it’s wonderful to have the Highlands nearby. So when the weather is good it’s always worthwhile getting outdoors, either to the coast or up into the hills. Please welcome Claire to Real Scientists!